Here I start a series of sporadic highlights for online references, to TECHNIC cute solutions or techniques. These will be called 'TBs TechTips', sequentially numbered for future reference and will get the label 'TechTips'. 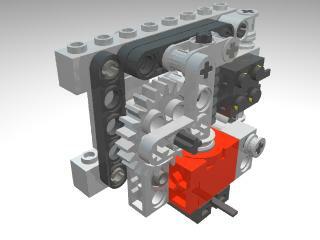 Today I would like to call your attention, to an awesome compact design for an electrically controlled pneumatic valve, totally made of LEGO parts. More details, can be found here. That is great site, worth checking out not just because of the switch (which, by the way, was inspired by another design, whose link - http://www.staticip.cx/~benw/lego/valve/ - unfortunately is broken)! At the main site there's plenty more stuff and ideas, including videos of my favourite, the Killough Platform. Maybe you are using not IE, but Firefox. Try to force reload (CTRL-F5).